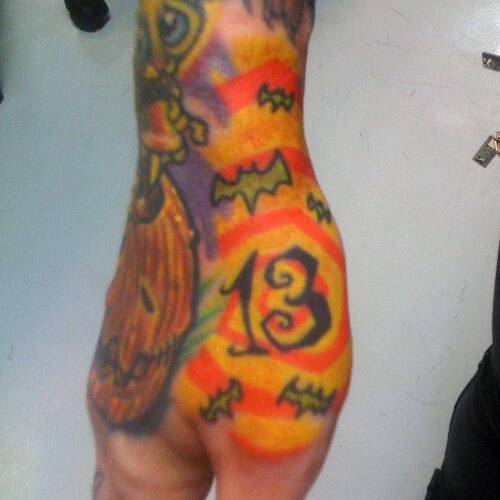 Megan Massacre got this number “13” tattoo on the side of her left hand for Friday the 13th on August 13, 2010. The rest of her hand is Halloween themed with a large jack-o-lantern pumpkin and little green bats. 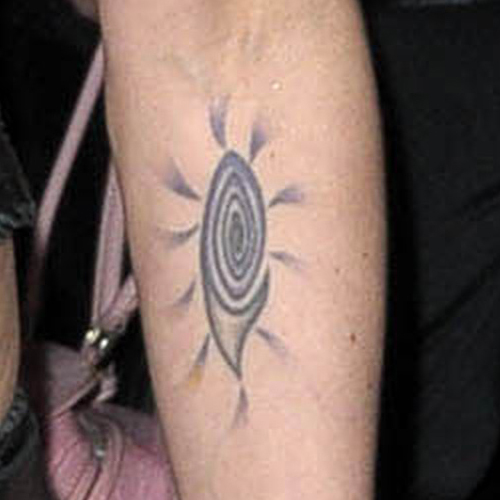 She also has has an orange and yellow spiral background which has mostly faded. 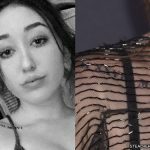 Neon has added onto the tattoo multiple times. 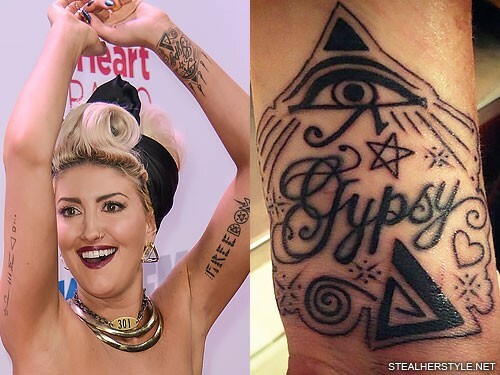 It started out with just the word “Gypsy.” Then she added shapes in red-brown ink including an Eye of Horus which is an Egyptian symbol of protection. 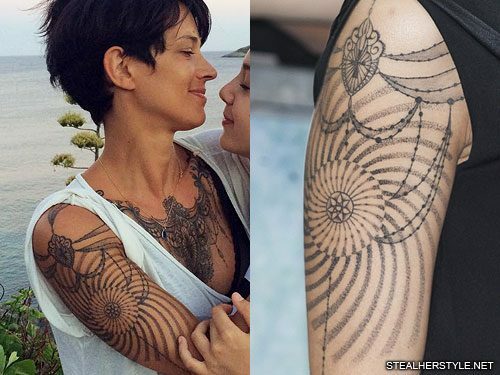 In October 2012 she had the symbols drawn over in black ink and altered some of the shapes, transforming the circle and square into spirals. 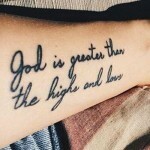 She also added an outline around the whole tattoo at this time. 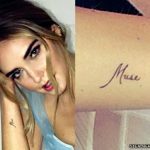 The most recent addition was in September 2013, at the same that she got the swirl tattoo on her hand. 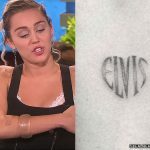 She put a row of tiny swirls above the Gypsy tattoo to tie together both inkings.